If you haven’t heard of BB-8, you might be living under a rock on Alderaan , especially in the last couple of days. Sphero; the company behind the actual droid in the soon-to-be-released Star Wars: The Force Awakens film launched a smartphone powered miniature version of the tiny droid with a huge personality. 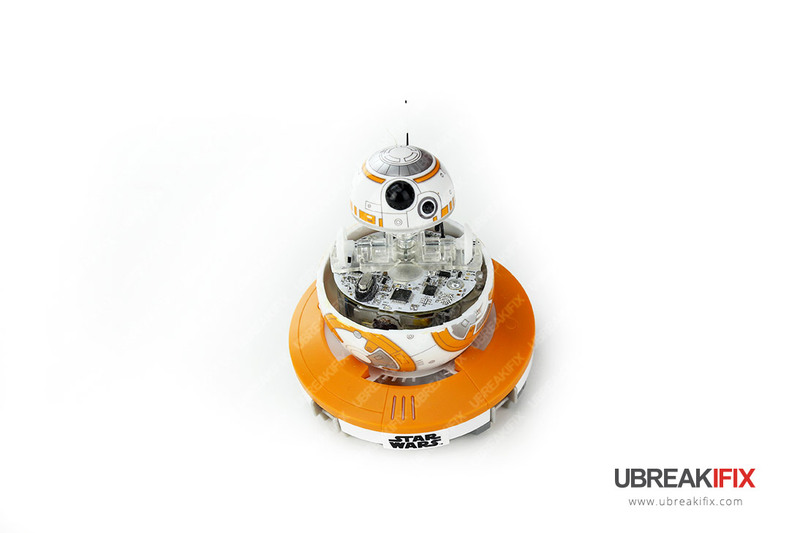 It really goes without saying that we’re big Star Wars fans at uBreakiFix, but we’re also into tearing tech down to see how it works, and although it was painful to do (and watch), we had to get inside of BB-8 to see what makes this little guy tick. There are probably hundreds of robots (and toy collectors) out there that will wince at our tear down video, but it had to be done. Maybe in a galaxy far, far away we could be repairing droids.